Sometimes people’s differences and irregularities are what makes them the most special. For one young boy, finding an animal with very similar facial features to himself made him feel a lot less self-conscious. 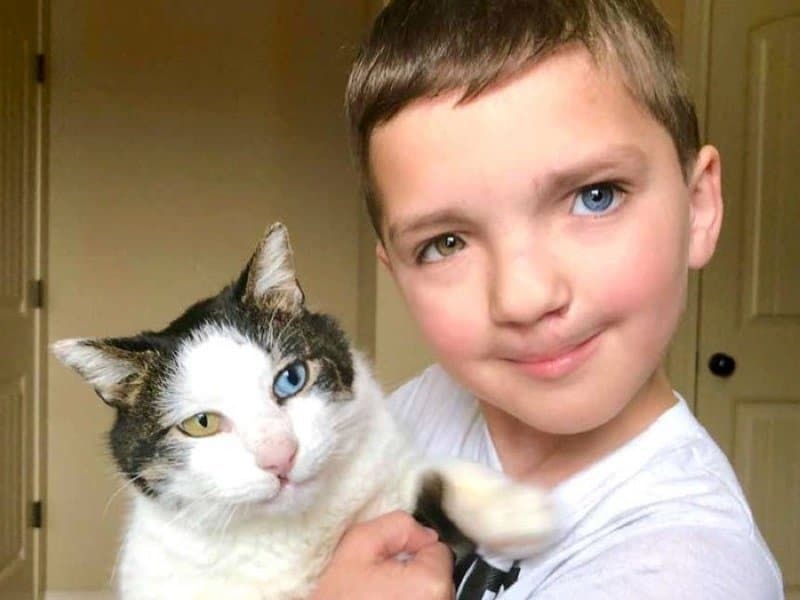 Madden, a 7-year-old boy from Oklahoma was born with a cleft lip and different coloured eyes and for a while, he was a little wary about how people would take his appearance. But all that was going to change when he made a new friend! But Madden was going to find himself the perfect friend in the form of a cat with a very similar facial feature. This little cat also had a cleft lip and different coloured eyes! 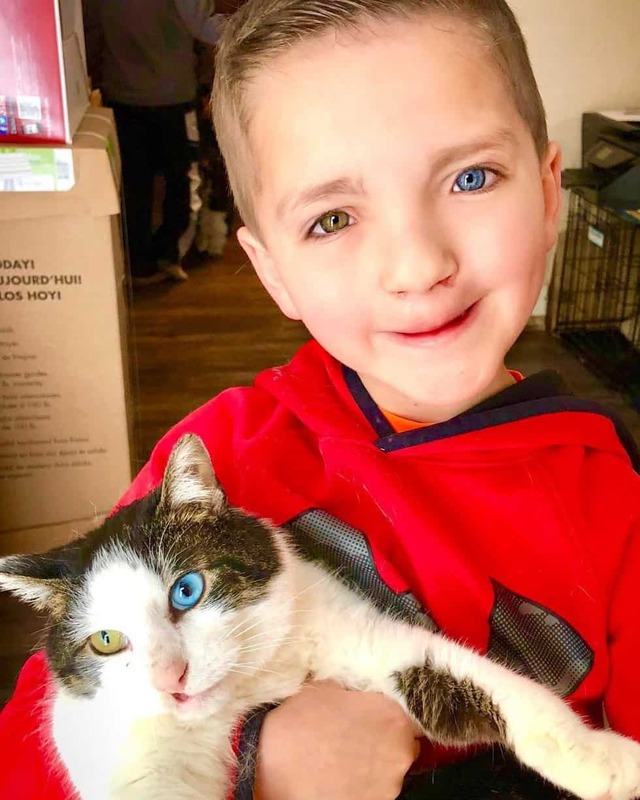 Madden met the adorable 2-year-old kitty at a local rescue group; Mending Spirits Animal Rescue, in Mankato, Minnesota and he knew immediately that it was love at first sight! 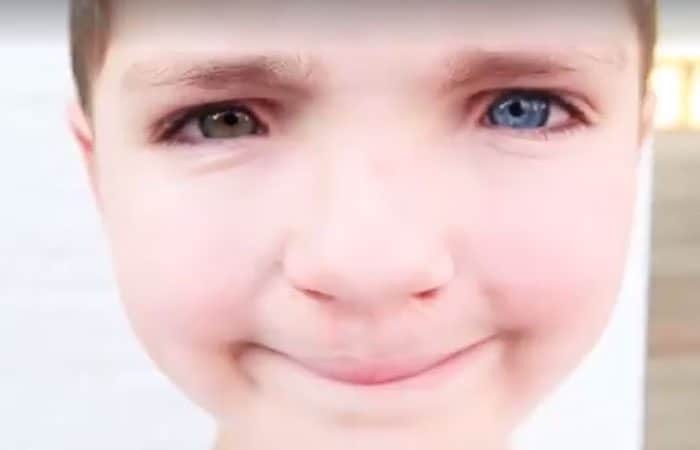 Madden was born with a rare condition called Complete Heterochromia Iridium where the eyes are both completely different colours. 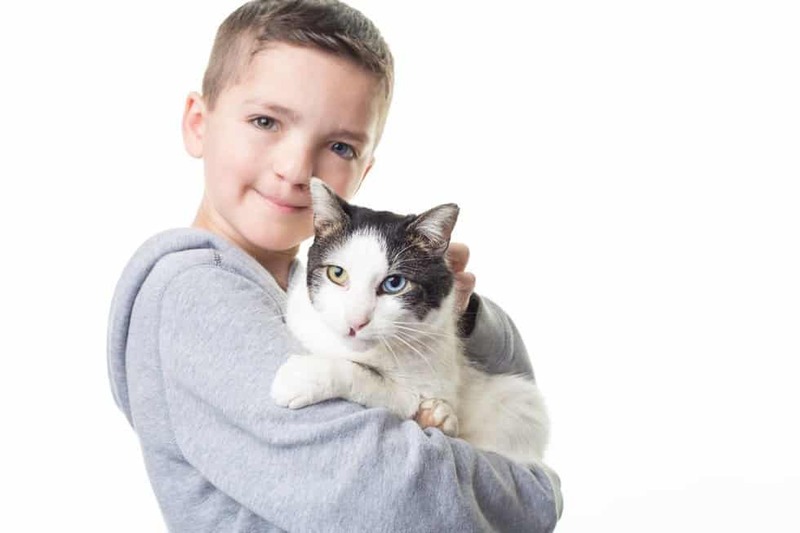 When Madden’s mother, Christina Humphreys, learnt about a cat named Valentine who shares similar distinguishing features as her son, she immediately knew that he was going to be the cat of Madden’s dreams! The family drove down from Oklahoma to Minnesota last week to go and get their new furry friend. “We had quite a few incredibly generous friends and strangers help make the road trip possible so that we could adopt this sweet fur baby and we are so thankful,” Christina wrote on Facebook. Madden bonded straight away with the cat and renamed him ‘Moon’. Since Moon has moved in with his new forever family, Madden has been right by his side to make sure he’s settling in perfectly as well as giving him lots of hugs. Madden, now back to his spunky and friendly self, wants to raise awareness of bullying and to show that just because someone is different it doesn’t mean they’re not as good as somebody else.